There is a strange thing you notice if you spend some extra time looking at the lists of achievers or “firsts” in African- American history. They are spread out all over the place, both geographically and on the time line. Stranger yet is that there is quite often a huge gap between any given “first”, and the subsequent seconds or thirds. Why would you suppose that is? For example the third black man to play professional baseball was Jackie Robinson. You read that right, he was third. The First was back in 1884 when Moses Fleetwood Walker took the field for the Toledo Blue Stockings. The second was Moses’s little brother Weldy. Jackie didn’t get to play till 1947, because in 1887 the league banned black players from the majors. I could reword that without changing any of the facts, by saying white people banned black players. The Walker brothers proved they could compete, but the white people got together and simply decided they weren’t allowed to. The first black person to get into an American college was John Chavis who enrolled at Washington & Lee in 1794. This was not only long before the civil rights movement, but 69 years before the Emancipation Proclamation. Oddly enough, John Chavis starting college was also 29 years before the first black person to actually graduate college. That was Alexander Twighlight who graduated from Middlebury in 1823. If there was a 29 year gap between a black person getting into college and another black person actually graduating, as well as a 60 year gap between the first group of black baseball players to make the majors and Jackie, my white American meritocracy minded brain might guess that this was because the first black people were given a shot before they were really ready. Maybe this group of people, for whatever reason (being held back by slavery or poverty or whatever) just weren’t ready to compete in American free markets. Maybe it just took them more time. I remember learning something like that in history class related to reconstruction. I might have even heard something like that in church when I was little. 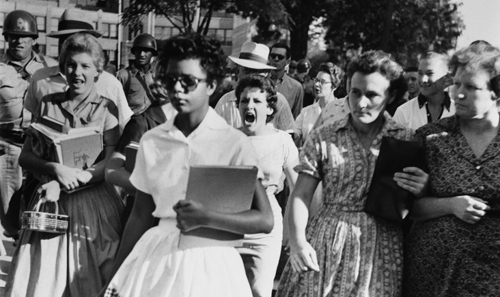 But then you see things like the picture of the Little Rock 9 being the first kids to integrate a school in Arkansas. 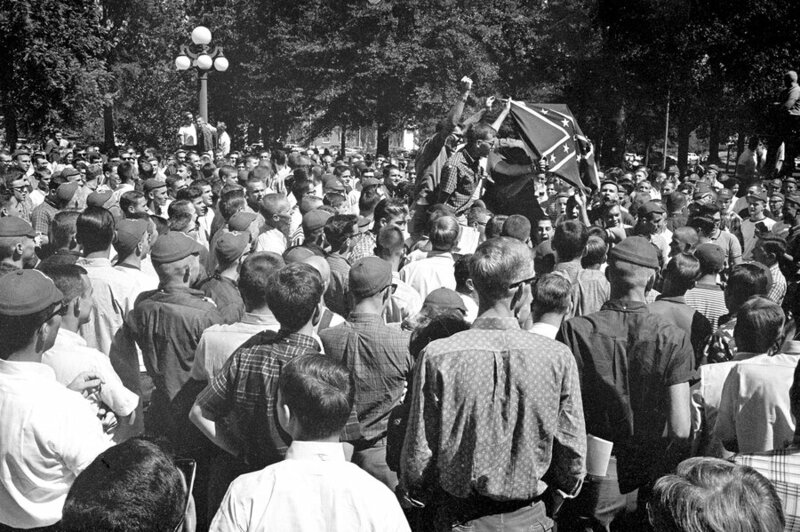 Or maybe if you look at how the ‘Ol Miss student body reacted when James Meredith was allowed to enroll. Then maybe you start looking into the reactions of white people surrounding all sorts of African American 1sts whether it be in sports, college, politics, business, pretty much everything, and you start to realize something. The reasons why black people were not accomplishing things was because white people were very intentionally stopping them. Intentionally and very regularly violently. What was it like for Chavis in school or the Walkers playing ball? What is most amazing, is that despite this, and I should say despite “us” they persist. There have always been black achievers and strivers and thinkers and all the while they have had to achieve and strive and think despite a nation of countrymen standing in opposition.